University of Richmond officials said two of the three people aboard the hot air balloon that caught fire and crashed in Virginia Friday were staff members of its women's basketball team. A statement released Saturday said associate head coach Ginny Doyle and director of basketball operations Natalie Lewis were aboard the balloon that crashed shortly before 8 p.m. The remains of the pilot and one passenger were recovered in the densely wooded area but have not been identified. Lewis' parents said they remain hopeful as more than 100 searchers comb through the woods and fields for the third victim and the balloon wreckage. In a statement, President Edward L. Ayers said the two women were beloved by the community. "Their leadership and friendship will endure in the lives of so many," Ayers said. "Words cannot begin to express our sorrow," said Keith Gill, director of athletics. "We are all stunned by the tragic news. Our thoughts and prayers go out to their loved ones." Lewis graduated from the University of Richmond in 2011. While enrolled, she was a four-year varsity letterwinner and two-time captain of the swim team. She joined the school's athletics program in 2012. Doyle served on the Spiders' staff for 16 years and helped guide the team to nine winning seasons, the university statement said. As a student-athlete, she was a two-time all-conference player. 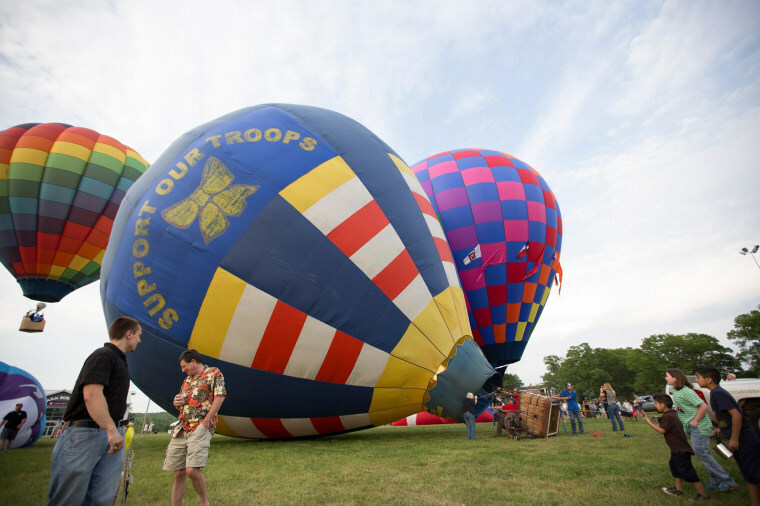 The balloon ascended as part of a precursor to the Mid-Atlantic Balloon Festival scheduled for Saturday and Sunday at Meadow Event Park. But officials say it hit a utility line, which caused it to erupt into flames, explode and crash.